My definition of Ascension is a process whereby the earth and part or all of humanity shifts into a higher dimension, one I call the fifth dimension, where life will be very different from what we experience today and where human capabilities are greatly expanded from those presently enjoyed by the great majority of humanity. The long anticipated December solstice of 2012 has come and gone without the predicted fireworks; neither apocalyptic nor mind-blowing and the illusion of duality remains in place. What happened – if anything? A profound shift took place on October 28, 2011 and it affected me greatly. That date marked the end of the era of duality, the end of us and them, of darkness and light, of war and peace, of rich and poor, of freedom and slavery, of young and old, and so many other manifestations of duality too numerous to mention. Free will was honoured and there were many ways we could have crossed this threshold, but the threshold itself was predestined. As it turned out, duality remained very much a part of our shared reality here on earth and systems supporting duality continued to create more. At the March equinox of 2012, information began coming my way that it was time to oust the earth’s dark and replace their systems supporting self-interest with systems serving the greater good. At the June solstice of 2012, the earth’s dark declined the Light’s deadline to surrender and the Light took a variety of actions to ensure the earth’s dark could not start WWIII and thereby take humanity on an extended detour or destroy the planet. The actual ousting of the earth’s dark is being left to humanity and continues in a slow process maximizing humanity’s learning experience. A major change in plans occurred at the December solstice of 2012 (12-21-12). Instead of splitting humanity in two with one part ascending and the other remaining behind in an alternative 3D reality, humanity requested an inclusive ascension process and this request was granted. The ascension event long planned for the December solstice of 2012 was postponed; not cancelled but postponed. This slowed the process and delayed a shared reality based in Light but has the huge advantage of creating a shared timeline for all of humanity. Instead of a portion of humanity defaulting into a continued 3D experience at the mercy of earth’s dark, all of humanity is walking together toward the shift into a Light based shared reality and the ascension process that will follow. Gaia, the Earth spirit, and Earth ascended into 5D on 12-12-12 along with all the kingdoms on earth except humanity. A third dimensional holographic school was created and is being energetically maintained by Gaia. This 3D hologram is humanity’s shared reality and it is within this shared reality that the shift into a shared timeline based in Light will take place – thus allowing all of humanity to make the necessary adjustments such that we can ascend together rather than being split in two. The duration of this hologram is still being determined. The danger to humanity and to ascension is now past so the process of shifting can take as long as it takes. Four plus years later and still no shift; but do not despair…progress is being made and the shift will happen. Two processes are cued up and ready to go; one cosmic and the other earthly. These processes are complementary and parallel but also independent of each other. 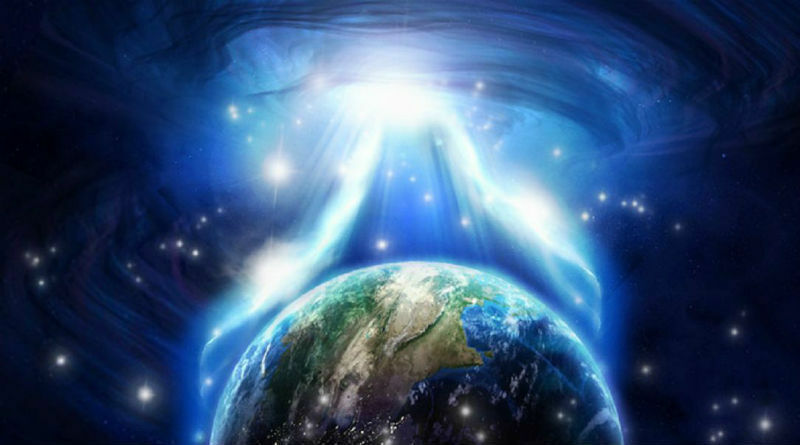 The cosmic event is the ascension event and originates in Source/Creator. It is the event planned for the December solstice of 2012 but delayed at humanity’s request for an inclusive ascension process. This event affects all of the cosmos and we can only guess about it and its timing. The earthly event is the shift into humanity’s shared timeline based in Light. All major obstacles to this shift have been removed and the earth’s dark now stands alone without the support of more advanced civilizations and their technologies. Despite all of that, the earth’s human dark continue to rule over humanity and their chosen timeline of artificial scarcity and economic slavery continues as humanity’s shared timeline. At the top of the human dark hierarchy are two groups of people; the European based RKM (Rothschild Khazarian Mafia) made up of about 100 families who control world finances and provide the dark’s strategic planning, and the US based technological leaders who call themselves the Alliance. They developed and use free energy, zero gravity based travel (faster than light), time travel technologies which they have abused to change the past in ways that support their self interest, and a variety of technologies to control and limit humanity which has prevented humanity from traveling their evolutionary path. These two groups constitute what I call humanity’s secret government. I remain completely dedicated to the process of ending the existing shared human timeline, a timeline based in darkness, by replacing it with a shared human timeline based in Light; based in Love, based in truth and full disclosure, based in oneness and abundance, based in world governance in support of the greater good, based in the complete restoration of cosmic law here on earth. The Universe connected me with a friend named Katelon and together we have been guided to work at the etheric level, at the level of energy. Our attempts to facilitate a surrender of the human dark in 2015 did not succeed and we were brought back together in 2016 to facilitate humanity’s shift into a Light based timeline which will replace the current dark timeline and end the dark’s long detour. Katelon was given the gift of sound keys to facilitate this timeline shift and we have worked together every day since late November of 2016 to complete this work. The last sound key (#92) was given to Katelon on March 2, 2017 along with the information that the Light based timeline shift was completed at the level of energy but had yet to be manifest into the physical. Initiating that timeline shift is a human team called the Shift into the Light Team and Katelon and I continue to support their work and facilitate it until such time as the shift takes place. Humanity is on the cusp of a shift into a Light based shared human timeline including replacement of the world’s financial systems, disclosure of our ET supporters, the introduction of abundance technologies, and rejuvenation becoming humanity’s shared reality. All of this will be accompanied by governance shifts as world governments supporting the earth’s dark shift to or are replaced by world governments supporting the greater good. The Earth as a school of learning will continue after the event/shift but will then be based in the 5th dimension and include such things as rejuvenation, abundance technologies, travel by intention, and daily interactions with other ET civilizations. Individual sovereignty will be widely supported. Survival will no longer be an issue and each of us will be encouraged to uncover and pursue our passion as we attract our lessons and advance along our evolutionary path. Duality will play a much reduced role and service to others will replace service to self as humanity’s foundational value. Sound like heaven on earth? That is what is planned; and that is the end result of the Ascension timeline. Enjoy the process and may your experience be one of peace, love and joy.